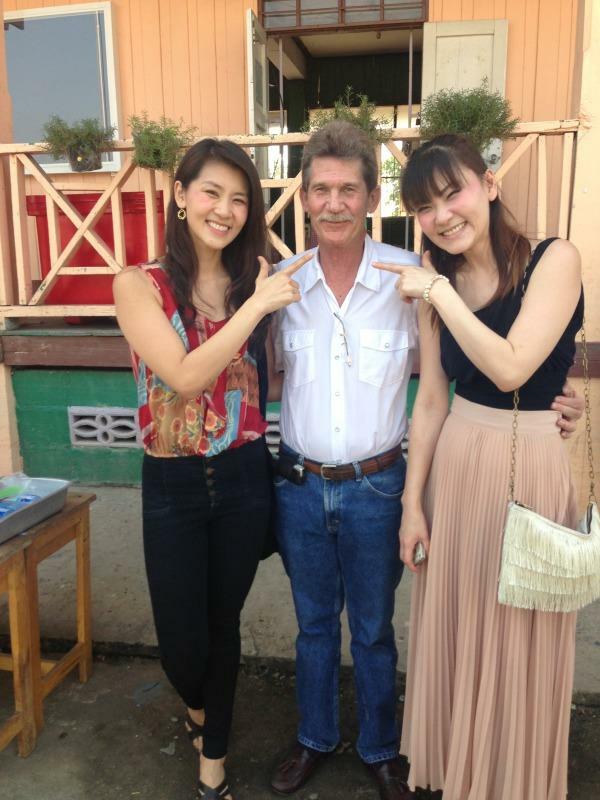 Yesterday my family got together with two old students I taught more than 15 years ago. They were both top students and good kids. 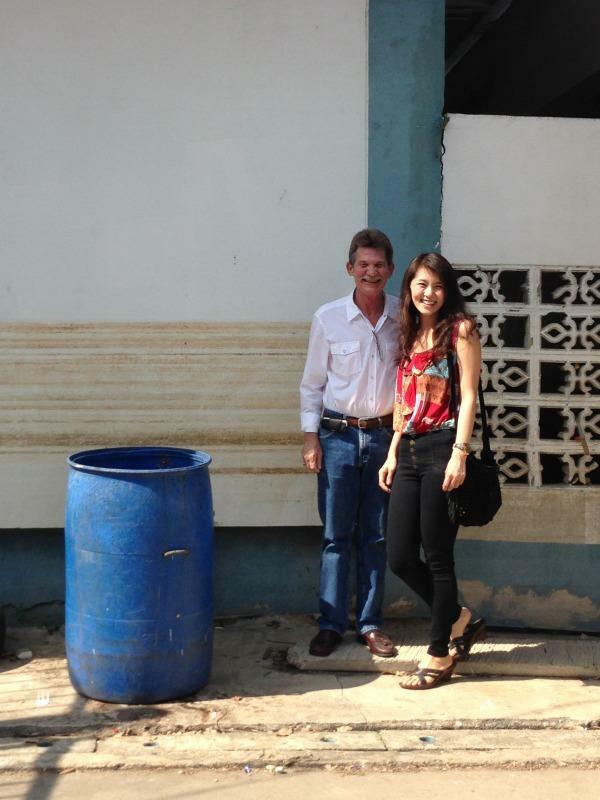 Over the last 15 years they have donated to a Wat school that you must pass getting to where they studied. But this year they decided to do a "Big Give" for the kids and the school. 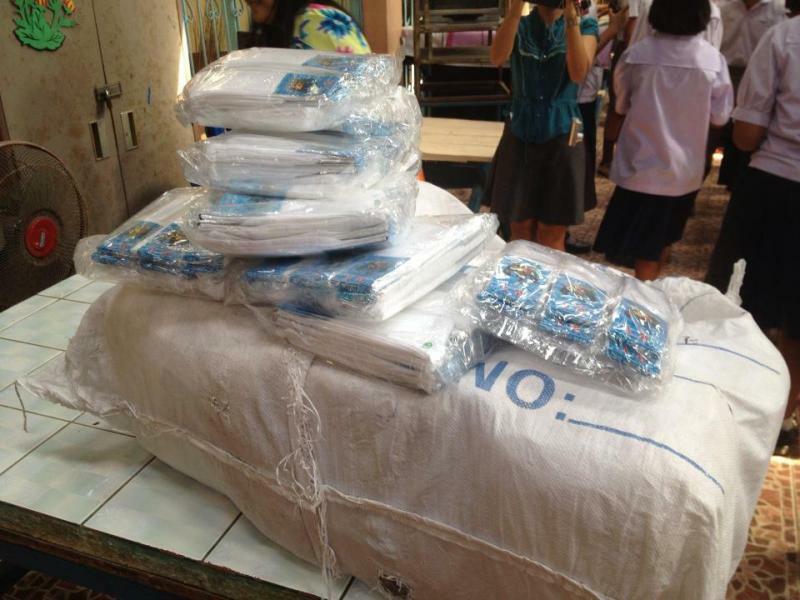 So with the help of many including my wife and I they raised 100,000 baht to get uniforms, socks, shoes, and other educational supplies for the school. It was hard hit by the floods of last year. In addition the kids asked for something that seems so silly. They wanted Pizza, and Donuts for lunch. Simply because they had seen and heard of these things but had never had the money or opportunity to try them. So we had it delivered. 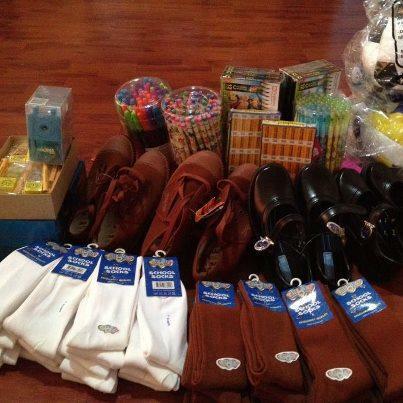 Each class got 10 pairs of shoes, socks, and uniforms, and school supplies. The two former students, who are sisters and now 35 and almost 37 years old. The food, 450 students and teachers were served. The young ones waiting for the food. Served outside then taken into the cafeteria to eat. The big fans are master cool with misters, they were given over the last few years as well. Just a shot so you can see how how the flood waters were. Pretty damn high. 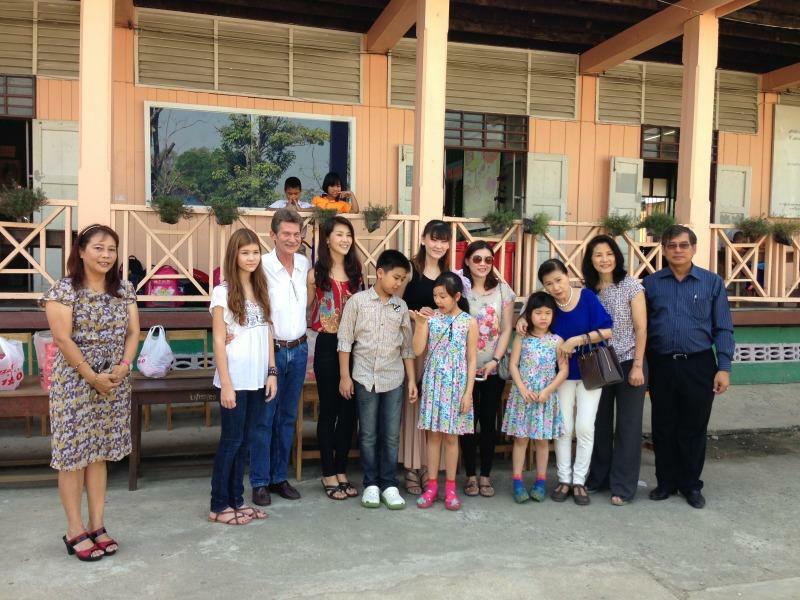 The two families together, along with the principal and the head teacher of the school. We just stayed at home this New Year. Doing this made all of us feel better, as you could see the joy in the kids faces. All in all a great day that in reality made the whole holiday for us. Top marks, good on you. Pizza - our daughter wanted, wanted, wanted to go to Pizza Co, eventually gave in and took her and a friend. Now can we try KFC? You are directly involved in creating a lot of happy smiling faces AO. Did one of the twins manage to get out of it or was she the official photographer? Oh, and any more pics of the fit teacher with the short(ish) hair? Kayleigh took the photos, and no there are not. Sorry mate. Last edited by aging one; 29-12-2012 at 12:02 PM. That charitable event you did AO is the best 'Tamboon' I've heard of. I pray you're repaid in karma 10 fold . Well I finally found the photo of all the school clothes bundled up. Lots of uniforms for needy little boys and girls. A couple of smiling faces. 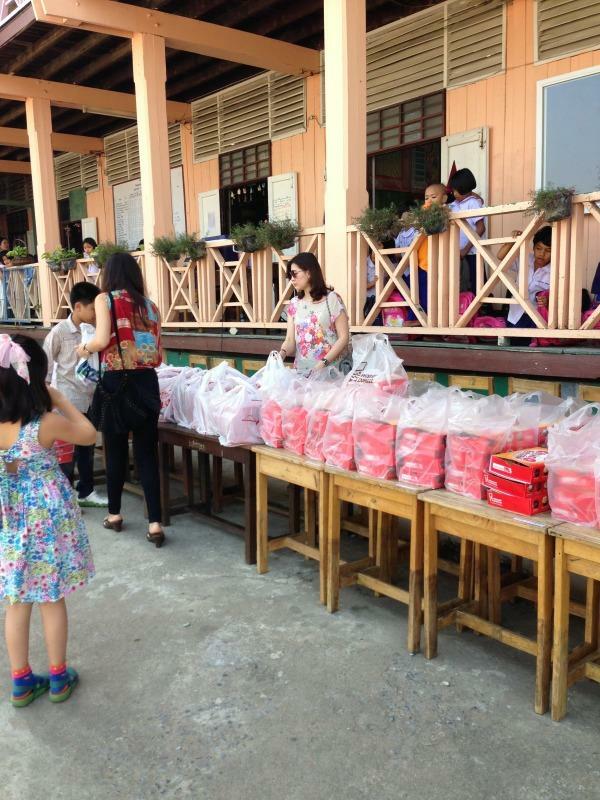 This is a great shot of when Lek and Ying pulled out the Christmas presents for the kids who had been working the hardest and getting the best grades in their classes. Excellent work AO will do the same monday (not grand scale as yourself) for a family who has three that go to St. Joe's in NKP. Well done indeed AO you have a big heart to match your smile mate. I would like to do similar ( on a smaller scale ) one day . 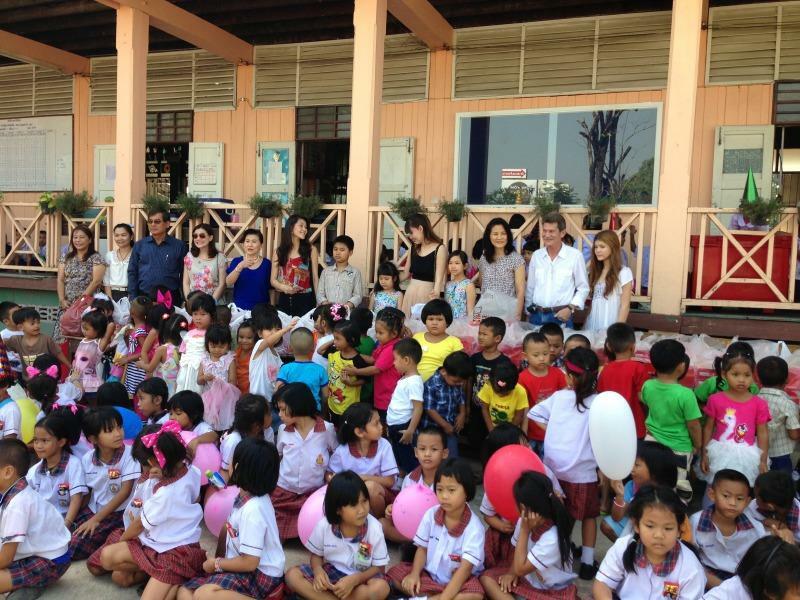 Well done AO, great seeing the smiles and happiness from so many children. They know what love is today for sure. Pizza and donuts. It does tug at your heart thats for sure. Look at 3 of the little boys in the first two rows, holding up a pair of sneakers to have as school shoes. Really does make you think. Also thank you so much everybody for your kind words. This thread screams what happiness a person can have by contributing to Thailand in a positive way, associating with good people and having a good family. Respect to AO as his threads always relate to family and relating to Thais in a positive way. Leaves the mongering threads far in its wake, no comparison in quality. Cheers AO. Your a winner. Respect AO. I'm sure the smiles made it all worthwhile. Heart warming indeed. Great stuff AO. Green sent! Job well done AO, such a small thing as a pair of new shoes can mean a lot to someone. I only found this thread now. Great stuff, bro. Thanks for posting the pics adn thanks to Kayleigh the photographer. As others have said, something like this doesn't really take much effort but it shows a lot of heart. Greenage if I can.